The Committee met to deliberate and finalise four labour bills: Labour Laws Amendment Bill; Basic Conditions of Employment Amendment Bill; National Minimum Wage Bill; and Labour Relations Amendment Bill. The four Bills were adopted, without any amendments, though the DA and the EFF objected to some aspects of the draft laws. The DA expressed support of the spirit and intent of a national minimum wage. However, the NMW Bill in its current form was not going to assist. It opposed the general application of the proposed national minimum wage indicating that not all economic sectors could afford it. The Bill could potentially choke small businesses and overload the Commission for Conciliation, Mediation and Arbitration (CCMA) with disputes. The DA warned implementation would lead to further job losses in a situation of chronic unemployment and a struggling economy. The DA supports sectorial minimum wages that take into account the circumstances of each sector. While the EFF supported the object of the NMW Bill, it believed the Bill would do little to alleviate poverty and inequality. The EFF opposed the R20 national minimum wage as being too low, saying it would do nothing to reduce unemployment and poverty. The Committee having considered the four Bills, reported that it had agreed to the Bills without amendments. The Bills were referred to the Committee on 29 May 2018 by the National Assembly. Subsequently, the Committee, acting in accordance with its constitutional obligation to facilitate public participation, then invited interested parties to submit comments on the Bill. All of the submissions received were considered. The Committee Reports on the respective Bills were adopted. The Chairperson said he believed the pieces of legislation marked a step for South Africa. All these efforts were geared to alleviating poverty and fighting inequality. It was comforting that even opposition parties agree with the spirit of the Bills, although they had raised areas of concerns. The Bills would now proceed to the plenary of the National Council of Provinces for adoption. After that they will be forwarded to the President for his signature and enactment. The Chairperson welcomed everyone to the first meeting of the third parliamentary term. He took the Committee through the four labour laws Bills. The Chairperson took the Committee through the LLA Bill, clause by clause. There were no objections from Members. The Chairperson put the Bill before Committee for adoption. The Labour Laws Amendment Bill was adopted without any amendments. The Chairperson took the Committee through the Bill, clause by clause. He noted that there were no objections to any specific clauses by Members. 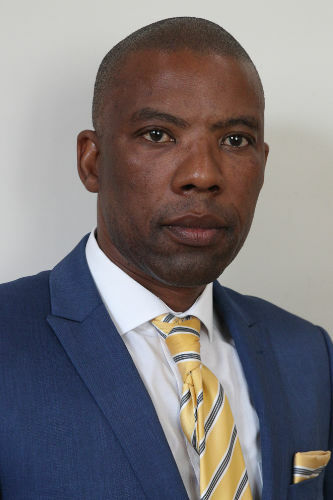 Mr L Magwebu (DA; Eastern Cape) said while the DA supports the spirit and intent of a national minimum wage, the Bill in its current form was not going to assist. He opposed the general application of the proposed national minimum wage indicating that not all economic sectors could afford it. It could potentially choke small businesses and overload the Commission for Conciliation, Mediation and Arbitration (CCMA) with disputes. He warned implementation would lead to further job losses in a situation of chronic unemployment and a struggling economy. The DA supports sectorial minimum wages that take into account the circumstances of each sector. Mr M Mhlanga (ANC) said the R20 minimum wage was a starting point in an effort to address the plight of workers in South Africa. He expressed support of the Bill on that basis. 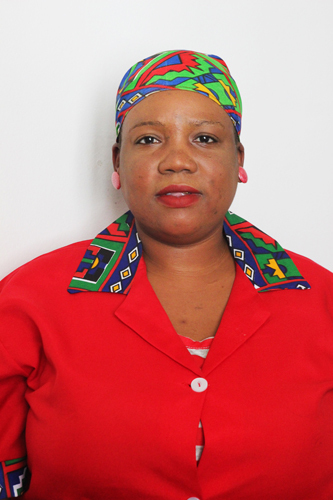 Ms B Mathevula (EFF) said while the EFF supports the object of the NMW Bill, the Bill would do little to alleviate poverty and inequality. She opposed the R20 national minimum wage as being too low, saying it would do nothing to reduce unemployment and poverty. The Chairperson noted Members’ comments and indicated they would be incorporated in the Committee Report on the Bill. He put the Bill before Committee for adoption. The National Minimum Wage Bill was adopted without amendments. The Chairperson took the Committee through the BCEA Bill, clause by clause. To amend the Basic Conditions of Employment Act, 1997, so as to substitute and insert certain definitions; to provide for daily wage payments applicable to certain employees; to repeal certain provisions dealing with sectorial determinations and to disestablish the Employment Conditions Commission; to extend the jurisdiction of the Commission for Conciliation, Mediation and Arbitration; to extend the provisions for monitoring and enforcement by the labour inspector; to include enforcement of the provisions of the National Minimum Wage Act, 2018, the Unemployment Insurance Act, 2001 and the Unemployment Insurance Contributions Act, 2002; to provide for claims for underpayment; to provide for transitional arrangements; to regulate sectorial determinations currently in force; to strengthen collective bargaining in respect of the sectors regulated by those sectorial determinations; and to provide for matters connected therewith. Mr Magwebu commented on the Purpose of the Bill. The Bill sought to extend the mandate and jurisdiction of the labour inspectorate when monitoring and enforcement capacity was currently seriously lacking. Seeking to further extend the labour inspectorate’s mandate was tantamount to setting the Department of Labour up for failure. The DA was opposed to the BCEA in its current form on that basis. Mr B Nthebe (ANC) said the issue of capacity constraints was raised strongly by the Department during prior engagements. However, the Department gave assurances that it was making efforts to spruce up its monitoring and enforcement capacity, and this was well understood by the Committee. 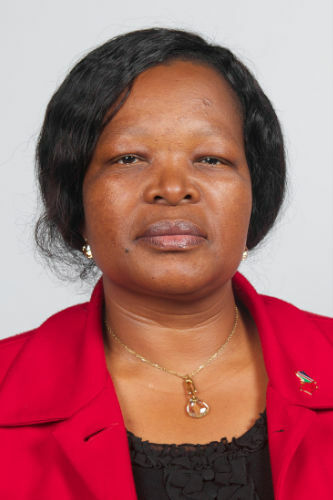 The Chairperson added that the issue of enforcement capacity was clarified by the Department. He further noted that the CCMA had been allocated an additional budget to accommodate the extension of its mandate. The BCEA Bill was adopted without amendments. The DA’s objection specifically on the Purpose of the Bill was noted. The Chairperson took the Committee through the LRA Bill, clause by clause. 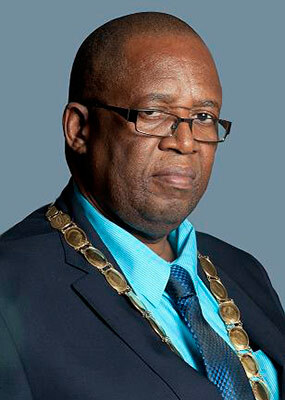 Mr Magwebu said the DA believed consultations and canvassing of views from labour unions had been inadequate. As it stood, the Bill had the potential to curtail collective bargaining and unions’ right to strike. However, Members were not afforded enough opportunity to fully engage and interact with oral submissions from labour unions owing to time constraints. This stifled public participation processes. The Chairperson was of the view that the Committee had considered public submissions fully during hearings. The views from labour unions were dissected further when the Department appeared before Committee to give responses to submissions on the Bill. All the views expressed in written and oral submissions were taken into full consideration. He indicated the DA’s position would be noted in the Committee Report. He put the Bill before Committee for adoption. The LRA Bill was adopted without amendments. The Chairperson said the Committee having considered the LLA Bill, reports that the Bill was adopted without amendments. The LLA Bill was referred to the Committee on 28 November 2017 by the National Assembly. A briefing was subsequently received from the Department of Labour on 20 February 2018. Having considered the matter, the Committee agreed to adopt the Bill without any amendments. The Committee Report on the LLA Bill was adopted. The Chairperson said the Committee having considered the NMW Bill, reports that it had agreed to the Bill without amendments. The Bill was referred to the Committee on 29 May 2018 by the National Assembly. The Committee, acting in accordance with its constitutional obligation to facilitate public participation, invited interested parties to submit comments on the Bill. All of the submissions received were considered and 12 of the submitters were invited to make oral submissions. The Committee subsequently deliberated on the submissions and the Department’s responses thereto. Having considered the matter, the Committee agreed to adopt the Bill without any amendments. The aforementioned objections from the DA and the EFF were noted. The Report of the Committee on the National Minimum Wage Bill was adopted. The Chairperson said the Committee having considered the LRA Bill, reports that it had agreed to the Bill without amendments. He put the Report before Committee for adoption. The Report of the Committee on the Labour Relations Amendment Bill was adopted. The Chairperson said the Committee having considered the BCEA Bill, reports that it had agreed to the Bill without amendments. The Bill was referred to the Committee on 29 May 2018 by the National Assembly. The Committee received briefings from the Department on 20 February 2018. The Committee, acting in accordance with its constitutional obligation to facilitate public participation, then invited interested parties to submit comments on the Bill. All of the submissions received were considered. 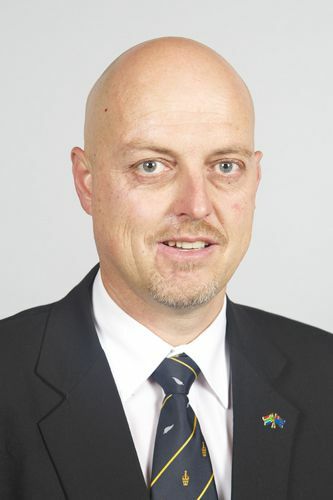 The DA objected to the Bill and expressed concern that extending the CCMA’s jurisdiction and provisions for monitoring and enforcement by the labour inspector, would result in practical difficulties as the enforcement and compliance section of the Department of Labour does not have the capacity and necessary resources to carry out the additional functions. The Chairperson put the Report before Committee for adoption. The Report of the Committee on the Basic Conditions of Employment Amendment Bill was adopted. The Chairperson said he believed the pieces of legislation marked a step for South Africa. All these efforts were geared to alleviating poverty and fighting inequality. It was comforting that even opposition parties agree with the spirit of the Bills, although they had raised areas of concerns. The Bills would now proceed to the plenary of the NCOP for adoption. After that they will be forwarded to the President for his signature and enactment. He thanked everyone who participated throughout the entire processes.